War has resulted in delayed development of infrastructure and commerce. Instability has resulted in unwillingness for international businesses to invest in the DRC and to assist in its trade development. There is a need to demonstrate stability and growing infrastructure to encourage international trading partnerships to develop. Currently, one of the primary exports in the Mahagi region is coffee. 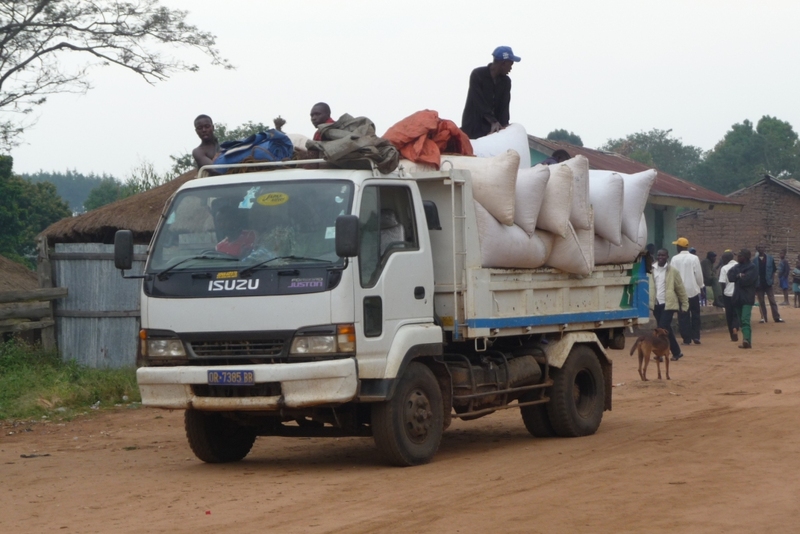 Currently, coffee grown in the territory of Mahagi is being sold in to the already saturated Ugandan market in Paidha. This results in poor financial return for farmers. There is a need to develop an internal market for coffee farmers which can sell the beans directly to the international coffee roasters without needing to go through the Ugandan market or “middle men”. Another difficulty in the area is the long distance, poor transport and poor roads that limit the amount of produce rural farmers can bring to the few centralised market towns. Farmers can only carry one sack at a time to market and it can cost them all day in travel time. If rain occurs during their travels, or they arrive too late for the market, they may have to abandon their harvest, leaving it by the roadside. DRC coffee in the Mahagi region is also of poor quality due to insufficient education of farmers, who are relying on outdated or limited understanding of agricultural methods. This has given DRC coffee a name for inferior coffee in the international market. There is a need for agricultural scientists to be employed in the education of farmers to improve crop quality. Coffee is currently one of the few crops produced in the region of Mahagi for export. Lack of diversity places the local economy at risk; years of poor-yield, such as occurs with pestilence or changed rainfall patterns, rob the area of its yearly income resulting in insufficient incomes for families to meet their needs for food and healthcare. There is a need to look to diversify the crops and exports of the eastern region of the DRC to create economic protection for the wider community.